Despite its recent success, the Summer in the Park Committee announced today that the festival would be trying something new this year with the inclusion of 600 or more domestic rats. Larger than mice but smaller than cows, rats are furry rodents with long tails and an entire zodiac symbol. “….in a good way,” Vic added, quickly. Back in January the Committee conducted a public forum to ask North Bayites what they wanted to see most at Summer in the Park. Tikus said he was pleased with the suggestions but was unsure whether Summer in the Park could deliver; noting that the lumberjacks might be cost prohibitive and the petting zoo too dangerous. Festival goers are set to be exposed to hundreds of rats in a dozen differents way. Not only will they run free and wild throughout the fairgrounds, but will also be given as prizes at the Mid-Way, will share the stage with artists like The Headstones and Amanda Marshall, and “might even have their very own airshow” says Tikus . But, Vic Tikus warns, with the festival failing to be given any funding this year, Summer in the Park needs to a bit more frugal. After some calming breaths, Vic explained that this is why the festival needed to look for a new direction, and that new direction was rats. 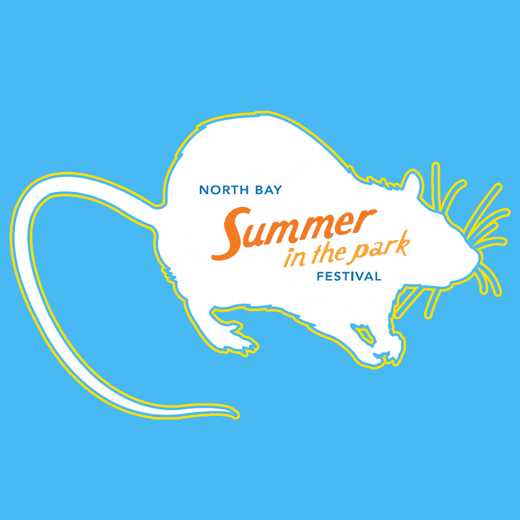 Summer in the Park will open with Marianas Trench on the Friday and see Amanda Marshall and The Headstones perform over the weekend-long festival, with trucks of fresh rats arriving daily to keep the rodent supply fresh and energetic.